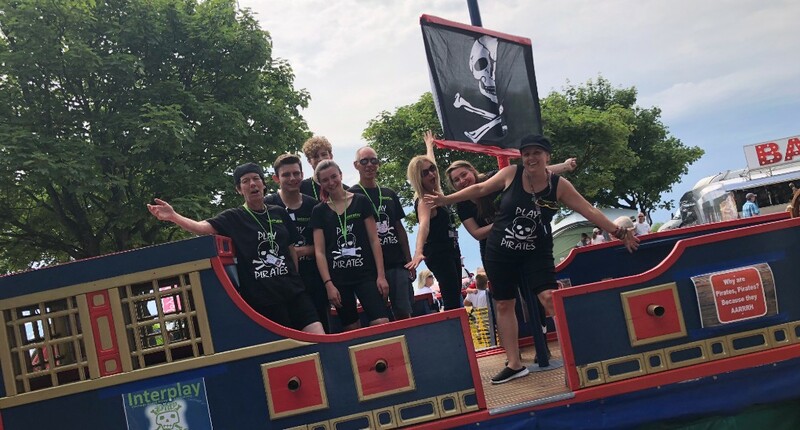 Interplay’s Play Pirate Ship “Anne” joined the Interplay family in 2016 and is used to provide Street Play sessions In Communities in South West Wales. 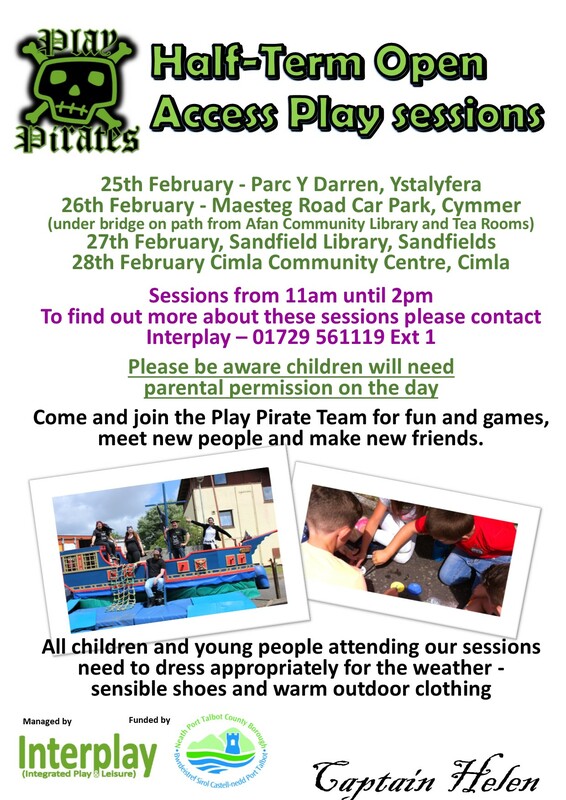 During the summer holidays we facilitate Playful Communities; a community play project for Gwalia, part of the Pobl Group, delivering play street and Pirate Ship sessions in and around Gwalia estates. 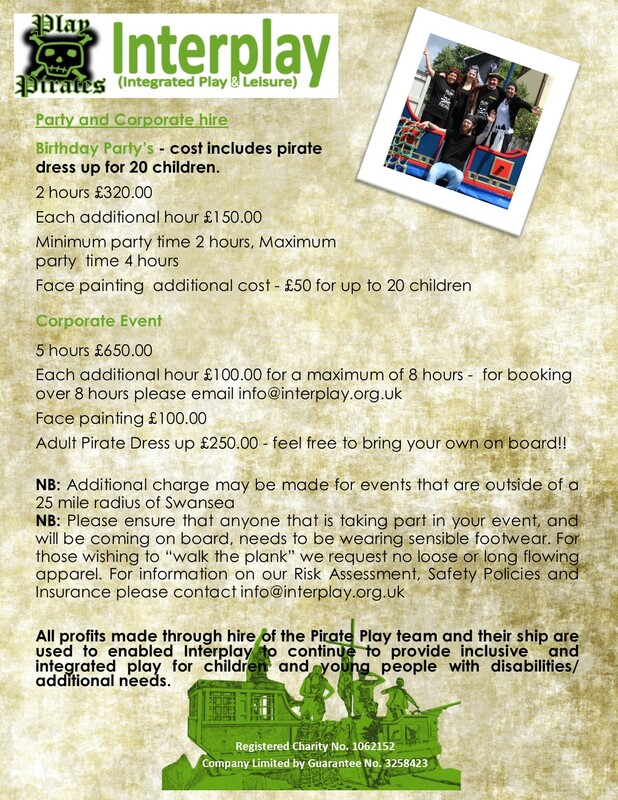 The Pirate Ship is also available for private hire for Birthdays and Corporate Events. 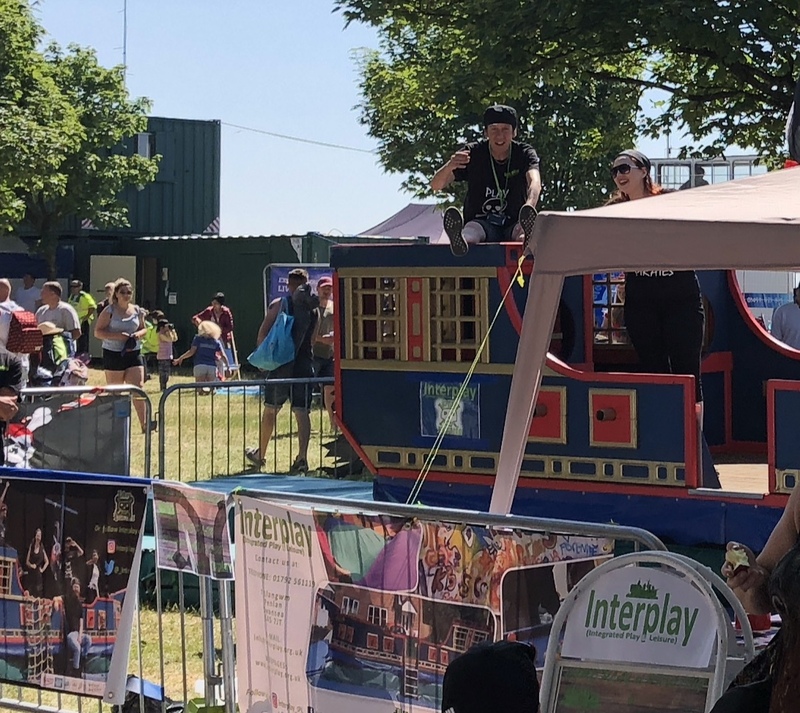 By hiring the the Play Pirate Ship and the Pirate Team, you can fulfill your dream or you children’s dreams of being an pirate, spending fun filled hours “on the ocean waves”; and at the same time help Interplay to raise the vital funds it needs to continue to provided inclusive integrated play for all.